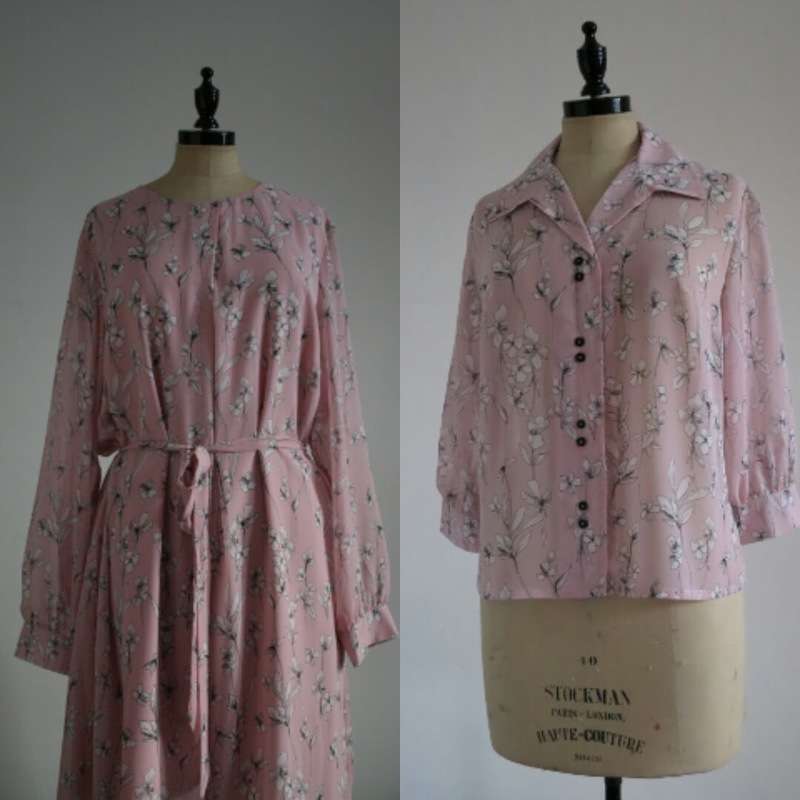 I often use the fabric from a garment, rather than refashioning the actual garment, but I like working both ways and the latter does so much of the work for you. This time I managed to do both! 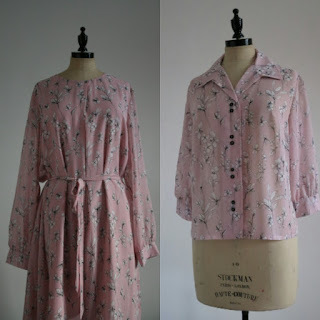 This time I realised I could use the sleeves and cuffs as they are, the buttoned cuff is what made me think of double buttons for the front and I only had to recut the sleeve to match the length of the vintage pattern piece. 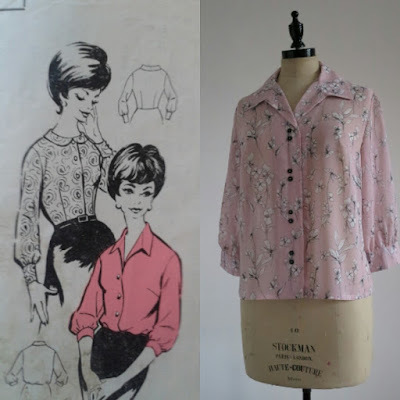 I love the illustrations on this pattern, which was a free gift, many years ago from a magazine called The Peoples Friend! For the full story on how I cut out the blouse and then had to redo to avoid the frumpy look! visit my blog! What a lovely refashion. The fabric is perfect for your vintage pattern. I love this! Looks amazing as a new shirt!